new restaurants and shops nearby. When the iPhone’s default mapping program was changed last year from Google Maps to Apple Maps, the move was met with sharp public disapproval. The not-ready-for-prime-time offering served up bad directions and sent people to non-existent locations so often that the company’s CEO had to offer up an apology. The whole debacle sent Google scrambling to create a new, stand-alone app for unhappy iPhone owners. After much waiting and a competent interim app, Google has finally unveiled Google Maps 2.0, a vastly improved version of the much loved app for iPhone and iPad users. There are a number of neat new features packed into the new Google Maps. It now features real-time traffic and incident reports, so you can always find the fastest route possible. The on-the-fly rerouting and offline maps features aren’t available yet, but Google promises both are coming in a future update. Also new is Google Maps’ Explore tab, a service meant to compete with Yelp’s Nearby discovery tab. 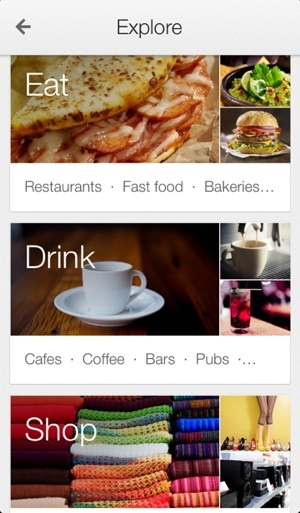 In it, you’ll find nearby restaurant recommendations, places to grab a quick drink, hotels, gas stations and more. Tap on a specific entry, and you’ll be able to read reviews, check its hours of operations and see Street View photos. You can also get directions, of course. There’s also good news for iPad owners. Google is finally offering a stand-alone Maps app for the tablet that takes advantage of its larger, richer display. Google Maps is generally touted as having better directions and more accurate location information than the default Apple Maps program. It’s a great alternative mapping program – one I strongly recommend you download and start using today.